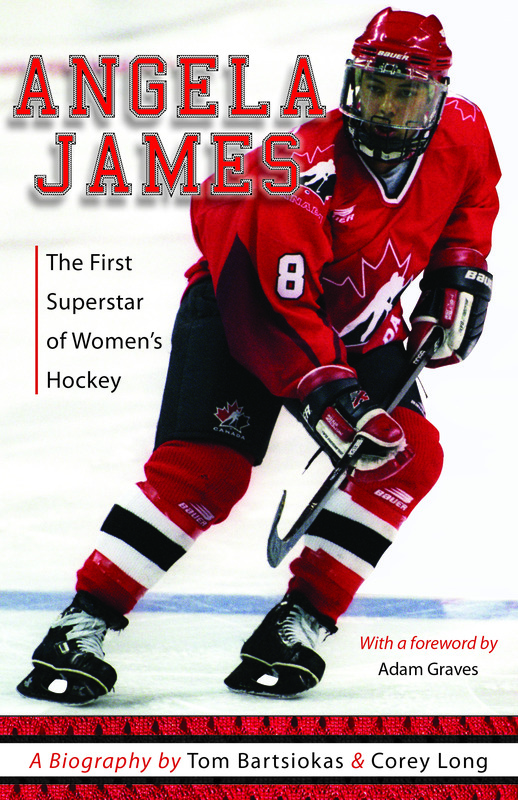 Join us on Thursday, November 8 at 7pm for the launch of Angela James: The First Superstar of Women’s Hockey. We’ll be celebrating the book with none other than Angela James herself and authors Tom Bartsiokas and Corey Long. They will discuss the collaboration that lead to this first full-length biography of a women’s hockey superstar, and they’ll do it in a space where hockey history has been made time and again: the newly reopened Maple Leaf Gardens. The evening will commence with a panel discussion at 7:30pm between Angela James and authors Tom Bartsiokas and Corey Long. There will be a media opportunity for photos, comments and quotes at 8:00pm following the discussion. Don’t forget to join and share the Facebook event page. This entry was posted in Women's Press Literary and tagged Angela James, Angela James: The First Superstar of Women's Hockey, Corey Long, Maple Leaf Gardens, Mattamy Athletic Centre, Tom Bartsiokas. Bookmark the permalink.